An odd little film from the waning final days of grass roots horror before the big studios stomped all over their competition, Mutant comes across much better than it really should. The film was shot around Norcross, Georgia and first distributed in drive-ins and shopping mall theatres around the South and Midwest under the title Night Shadows. When that strategy failed, it was reissued to theatres and video as Mutant, a laughably misleading title since this is, in fact, a good old-fashioned zombie flick. Josh (Hauser) and his younger brother, Mike (Montgomery), both prone to highly questionable fashion choices, find their vacation road trip waylaid when a truckload of rednecks pushes them off the road and into a creek. The brothers stumble into a nearby town and begin a bar fight with their assailants. Luckily the alcoholic sheriff, Will (Hopkins), steps in to break it up. Josh and Mike find a boarding house for the night, but Mike is suddenly attacked by something under his bed. The next morning Josh searches for his brother and enlists the aid of a doctor, Myra (Warren), and the perky schoolteacher, Holly (Chained Heat's Medford, not the world's most accomplished actress). Mike stumbles across the gaunt, creepy looking corpse of a young girl, which Myra hauls off to her office. Meanwhile Holly falls for Mike after he calls her a redneck (don't ask) and develops her own theories about what might be happening in this small, quiet town. A local fledgling corporation has set up a toxic waste site, and since then people have been disappearing right and left. Sure enough, the town folk are being zombified, leaving them with weird pus-spewing slits in their hands capable of transforming others by touch and burning through glass. 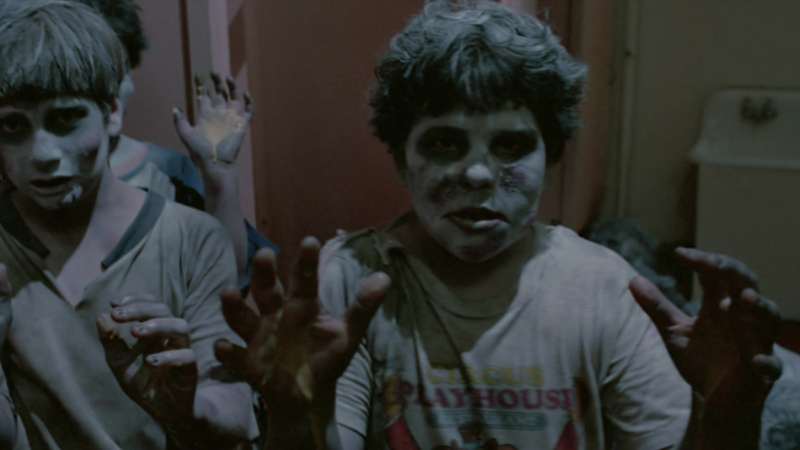 Luckily the zombies are also sensitive to light, but how can the survivors hold out until morning? God knows Mutant couldn't have been a title thrown around too much for a prospective DVD release early in the format's history, but that didn't stop Elite Entertainment from giving it the first class treatment back in 2000. The transfer from the original negative looks nice for the era, a radical departure from the washed out theatrical prints, many of which were inexplicably tinted blue (as were some video editions). Apparently the prevalence of blue shirts gave some lab technician a bone headed burst of inspiration one day. Diamond Entertainment also promoted its own DVD release, a budget line pan-and-scan issue; avoid that one at all costs. The DVD also includes a dupey looking theatrical trailer under the Mutant title, totally failing to convey even a basic impression of the film's storyline. Later the film was reissued in a drab full-frame transfer paired up with Greydon Clark's Uninvited because, well, why not? 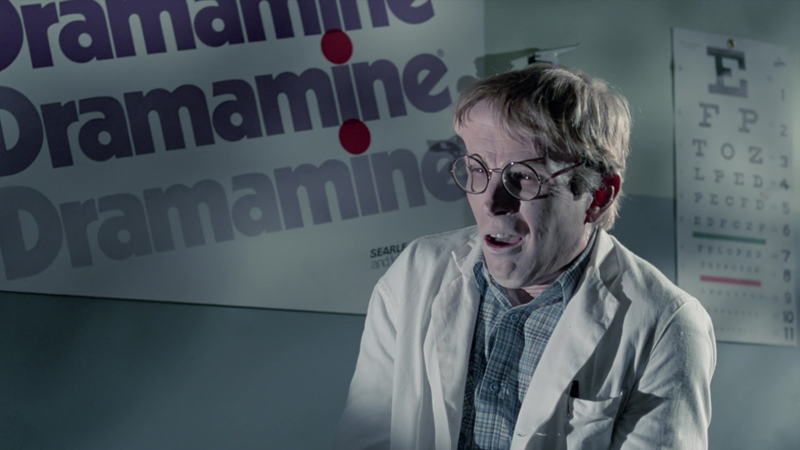 In 2016, Code Red tackled the film for a Blu-ray release sold via its online store, following a handful of other dubious DVD releases in the interim from labels like Miracle Pictures, Westlake, and Liberation. The new HD transfer continues to veer away from that sickly blue look and is easily the best the film has ever looked on home video, given the modest limitations of the source material. The film still has a generally soft appearance with bright areas of light washing out parts of the screen, so it isn't exactly the kind of thing you'll throw on for demo material. However, it's definitely a big step up in every way compared to past releases and is likely as good as this can get outside of the inevitable 4K release in a decade or so. The DTS-HD MA English audio sounds very strong, with more presence for Band's score in particular. A very brisk, entertaining audio commentary with Cardos, Montgomery, and producer Igo Kantor is moderated by Jeff McKay and covers everything from the Norcross locals (including one head cheerleader whose crush on Montgomery led to security issues) to the removal of Rosman to the many distribution travails under Film Ventures International, which would collapse soon after. 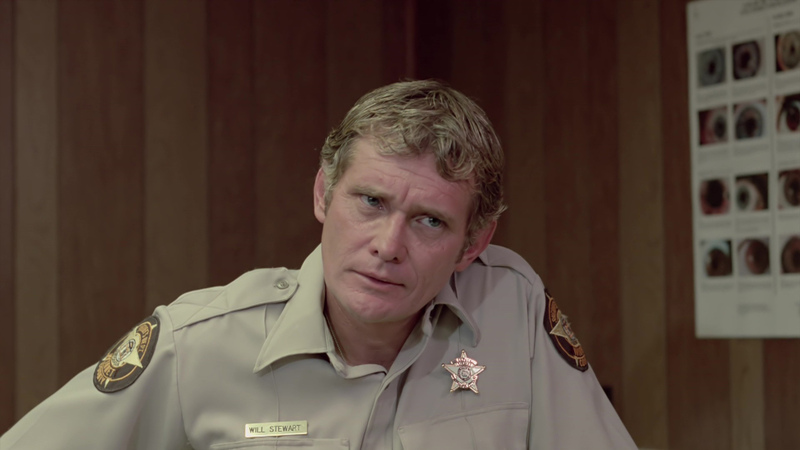 In addition to the trailer, Montgomery also pops up for a 15-minute interview about making his transition here to his first adult role (after films like Burnt Offerings and Ben), his character's refusal to close his shirt, and his thoughts on his character's fate, as well as the rapport he developed with movie brother Hauser during the shoot. Then Hopkins gets an 11-minute interview (apparently shot in a diner) about shooting close to his hometown in South Carolina, the rumors of wild Hauser behavior, accidentally hurting Medford's feeling over a birthday snafu, and his own personal lack of zombie phobia. Updated review on October 2, 2016.